We love Thanksgiving at our house. It is a day about being at home, being thankful and eating. 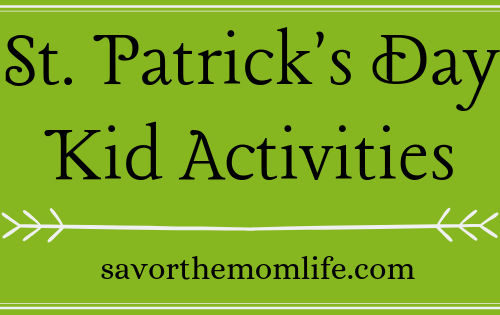 Here are some traditions I love to do with my family. Maybe you would like to share some with yours! Read on for 7 Thanksgiving Day Traditions to Share with Kids! I always enjoyed this tradition with my mom. 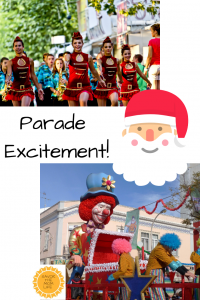 The excitement was big for the giant balloons, marching bands and of course at the end, SANTA! There is usually singing and dancing happening in the living room as the musical guests and musical numbers are performed. I like hearing the history of certain balloons and floats. My children like to look for familiar cartoon characters as they watch. This is mostly because dinner cooking is in full swing during lunch, so that meal is tiny and/or forgotten. 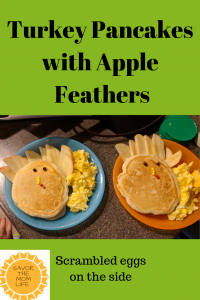 This year for breakfast, we are making turkey pancakes with apple slice feathers and scrambled eggs on the side. I will update with a photo once we have made our creations. My family eats dinner at the table every night, but this is special. Usually, there are extra guests and we get to eat in the dining room instead of the kitchen. It is fun to decorate! 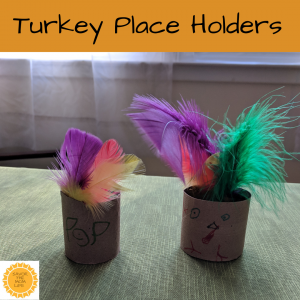 We made our turkey placeholders already. Using TP rolls cut in half, some markers, feathers, and tape. We drew on the turkey faces (you could use googly eyes instead if you have them). I gave my almost 6-year-old the guest list and he wrote each name on the other side. Finally, we taped the bottom of the feathers to the inside-back of the tube. As far as the place-mats go, I am going to print my tree ring template from my previous post (go read it here). I am going to add a little thankful scavenger hunt to each one for my guests to write down and be fully mindful of the reason we are feasting! I make one of these for myself when shopping, but Thanksgiving Day we need the list so nothing is forgotten as we are cooking! No fun if you miss someone’s favorite dish or forget to take the cranberry sauce out of the oven. A fun way to keep the kids entertained is to talk to them about the list and have them illustrate and write one themselves. They will even like to check things off as they are completed just as much as the cook! I will update with photos of what my kiddos create this year. This can be a scary idea for many people, but this is one of the joys of the day. Especially for people who really love to cook and entertain like my hubby. How else can you share and impart this onto your children unless you involve them! Some ideas for involving the kids easily are 1. Picking only one dish to be theirs to help with like, “Harry, you are sous chef of mashed potatoes!”, or; 2. Picking only one job they will help with, like stirring, mashing, or adding in measured out ingredients. Here is an awesome recipe for cooking pumpkin pie! 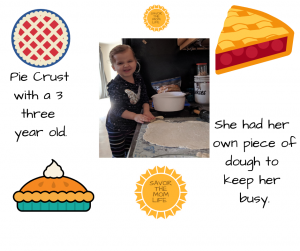 Hopefully, you have already read about my November Family Thankful Project. 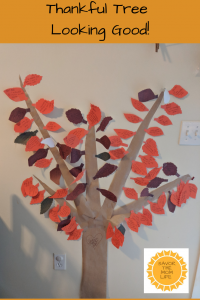 On Thanksgiving, we add another leaf and sometimes go back to read some of the ones we have written throughout the month. I usually make my guests add a leaf to our tree as well. Writing or drawing to express our gratitude for our guests is like a step-up from the thankful tree. Taking the time to share those grateful thoughts is amazingly powerful for both parties. Who doesn’t like hearing nice things about themselves? I love the warm and fuzzy feeling that comes from thanking another. Speaking of which, THANK YOU for reading this and following my journey on here. I hope to bring you much more in the future and I hope you enjoyed reading 7 Thanksgiving Day Traditions to Share with Kids. Click photo to follow the link. Full disclosure, I got mine from the thrift shop for 5 bucks!!! 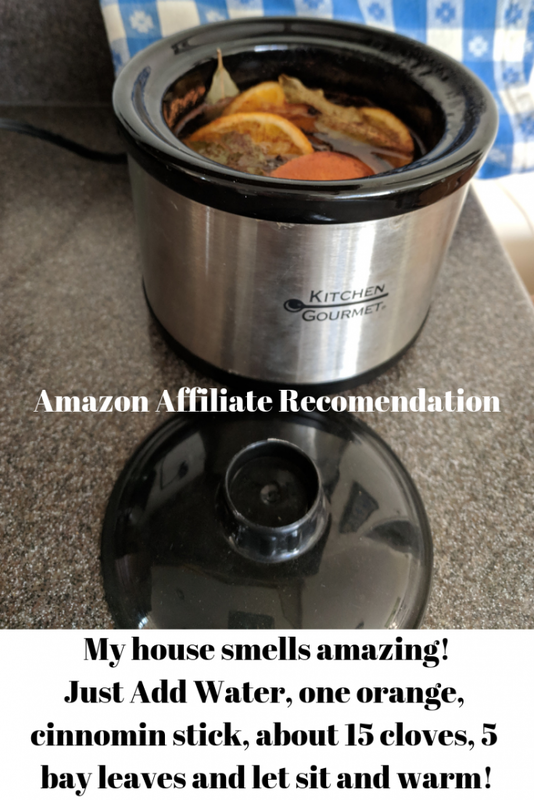 Check there if you want to be thrifty!! !